We will announce and post our 2019 t-shirt designs when they come back from the printer in mid-May. We will start our sales at the Mayfest Festival. 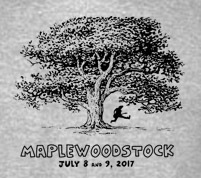 Your purchase of our t-shirts funds this free, two-day festival.